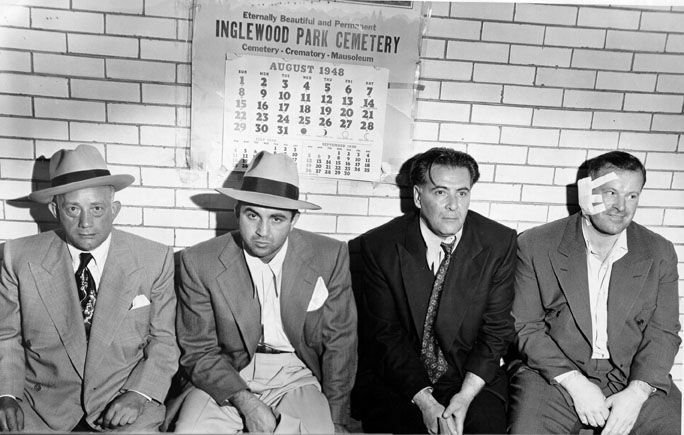 Four men sit behind a long counter and against a white brick wall with an Inglewood Park Cemetery calendar on it. 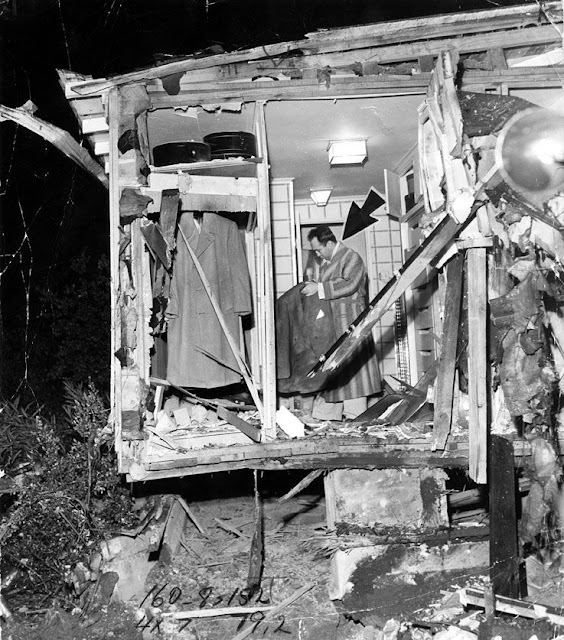 From left to right they are: Mike Howard, Mickey Cohen, Sol Davis and James E. Rist. 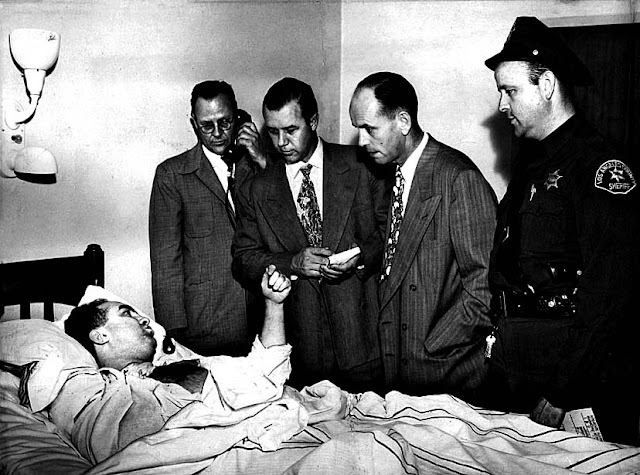 Mickey Cohen in a hospital bed after being shot by Dragna's men. LA's first Reality TV mobster seen here talking to reporters and police.